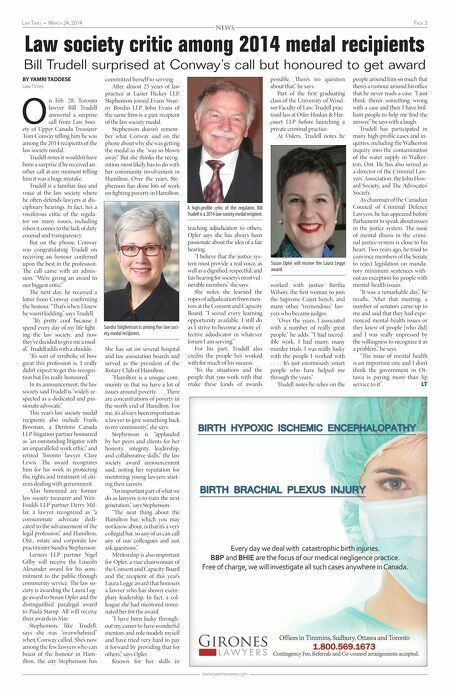 Page 2 March 24, 2014 • Law TiMes www.lawtimesnews.com NEWS Introducing a new Westlaw® Canada. Legal research goes human. Now, with WestlawNext® Canada, ﬁnding the legal information you need is as easy as searching for it the way that's most natural to you. A single search delivers the content you're looking for and intelligent tools let you ﬁlter, tag, and folder that information effortlessly. It's how relevance rises to the top. And how usability, efﬁciency, and conﬁdence are elevated to new heights. Discover more at WestlawNextCanada.com. 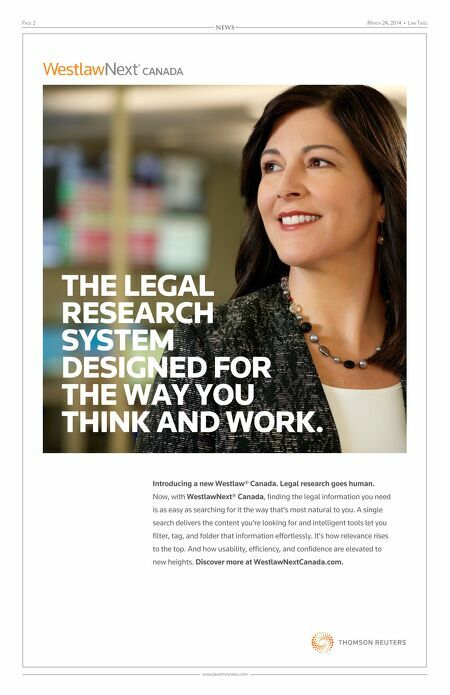 THE LEGAL RESEARCH SYSTEM DESIGNED FOR THE WAY YOU THINK AND WORK.